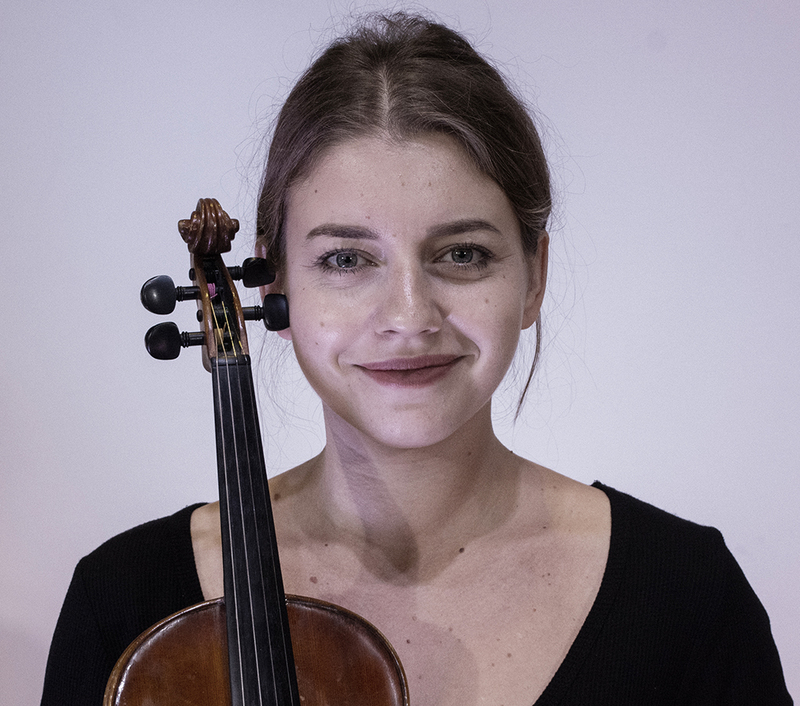 Sofia Levchenko is currently pursuing a Master’s degree in violin performance at Michigan State University, where she studies under the tutelage of Prof. Dmitri Berlinsky. She is widely experienced in the performance of different styles of music in solo, chamber and orchestra settings. Sofia was born in Uzbekistan and studied at the State Conservatory of Uzbekistan with Vladimir Yudenitch. Ms. Levchenko has performed as a soloist with National Symphony Orchestra of Uzbekistan, Student Symphony Orchestra, Chamber Orchestra “Turkiston” and others. She has participated in the Pacific Music Festival in Japan, Ensemble Academy Freiburg, and Wintergreen Summer Music Festival to name a few. As a chamber musician Ms. Levchenko worked at the State Conservatory of Uzbekistan, where she collaborated and performed with conservatory students. She has also performed contemporary and experimental music as a part of OMNIBUS Ensemble; touring around Central Asia with the “Playing Together” project; and collaborated closely with young composers from Peabody Conservatory in the framework of an international project she lead.